Hundreds of patients, including children, had to endure a wait of at least nine hours before a bed could be found for them yesterday as the hospital trolley crisis surged, leading to serious levels of overcrowding. This morning, 580 patients were on trolleys across the country, according to INMO's 'Trolley Watch'. Some 429 are waiting in the emergency department, while 151 are in wards elsewhere in the hospital. Ten patients are under the age of 16. The worst hit hospitals this morning were University Hospital Limerick with 54 patients on trolleys, while University Hospital Galway had 50 patients. Cork University Hospital also had 47 people waiting for bed. Although trolley gridlock has not reached the peak of last winter, patients are continuing to suffer the indignity of gruelling delays for a bed. Some 557 patients were on trolleys yesterday with Cork University Hospital and University Hospital Galway also struggling with an overflow of patients following the St Patrick's weekend. A spokesman for University Hospital Limerick confirmed closure of a 17-bed ward but said staff were fully involved. A new fracture clinic was opened to reduce "wait times and improve patient experience", he said. He insisted it was offset by the opening of other services, including a 12-bed surgical stay unit. 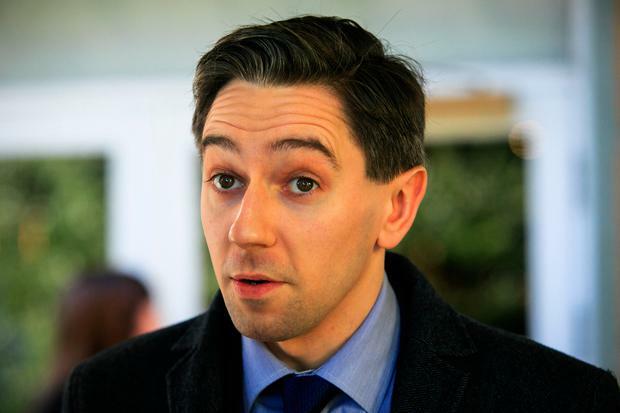 Health Minister Simon Harris insisted that over the past 18 months, an additional 241 beds had been opened nationally. The HSE winter plan included the opening of an additional 75 beds early this year, including five acute inpatient beds in Letterkenny University Hospital. Preparation was also under way to provide for 202 extra beds, to be operational early next year, he added. Meanwhile, the Government has again delayed a decision on the proposed downgrading of the Midland Regional Hospital Portlaoise which would see it lose its 24/7 A&E department and be replaced with a local injuries unit. The proposal, contained in a draft report drawn up three years ago, is a political hot potato because it is in the constituency of Justice Minister Charlie Flanagan. Mr Harris said significant work had been undertaken to strengthen and stabilise current arrangements for services at the hospital to ensure that services that are not sustainable are discontinued and those that are, are safety assured and adequately resourced. "Funding has increased by 42pc relative to the 2012 budget and staffing levels have risen by 31pc from the 2014 base. "Governance and management arrangements in Portlaoise hospital have been strengthened, additional clinical staff have been appointed and staff training, hospital culture and communications have improved. "As I have outlined previously, no decision has been made yet on the draft action plan for Portlaoise hospital," he added. "I am committed to ensuring that local clinicians and the community will be consulted with before a decision is made. I have decided that a comprehensive consultation exercise should be undertaken by the HSE, with an external facilitator, with the key stakeholder groups involved in the Portlaoise hospital. "The consultation will involve key stakeholders and local community representatives and provide an opportunity to listen to and address the issues and concerns the stakeholders have highlighted. "The consultation will also provide an opportunity to set out clearly the immediate priorities for service development and improvement in the hospital. The appointment of an external facilitator for the consultation process is being finalised. The outcome of the consultation process will be a submission from the Department of Health."